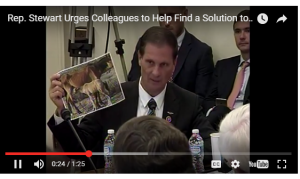 It’s official, AGAIN, the BLM’s Wild Horse and Advisory Board recommends killing off Long Term Holding horses and any “excess” on the range…they even brainstormed about sending horses off to Russia to feed their Siberian Tigers. Coming to Pubic Lands near YOU! Increase the budget in FY2019 to 3 million for reversible fertility control. I love the symbol of the salamander. The salamander is a symbol cloaked in mystery. This symbol is another alchemical symbol that everyone is taking literally. I even read an article about how the ancients were wrong about the salamander. In truth the symbol of the salamander was a battle of wits between ancient philosophers. The word salamander means ‘fire within’. This should have been the first hint the ancients were not talking about the natural salamander. I have shown in previous posts how giants in myths are usually showing a very big ego, but myths go several layers deep with truth and giants are no exception. In Lemurian Magic, I showed how an advanced alien race created the human race. They created a first race of humans that were just as big and smart as themselves. In all the myths the giants are frequently in conflict with the gods. In religious texts, the Nephilim, are seen as evil fallen angels. Did these giants exist? This post will show proof they did exist, but in no way were they evil. The idea that they were evil comes from lies of patriarch religions.